"Sometimes you face difficulties not because you are doing something wrong, but because you are doing something right." Anyone else feel this way? 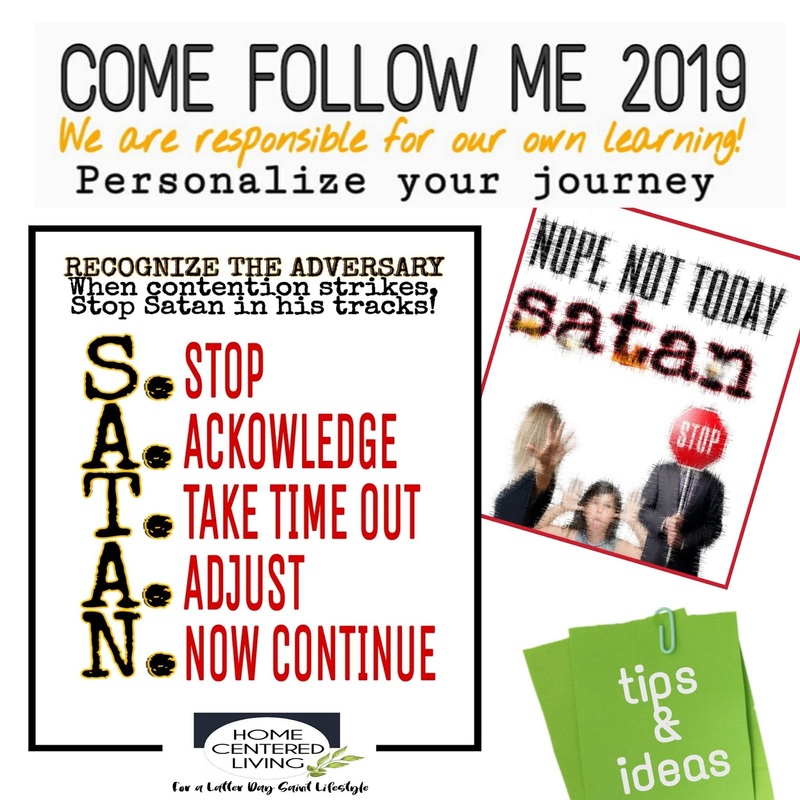 Have you felt the Adversary trying hard to disassemble your efforts? In turn have you felt the spirit in your home and the promptings of him? Are you hearing the answers to your prayers? 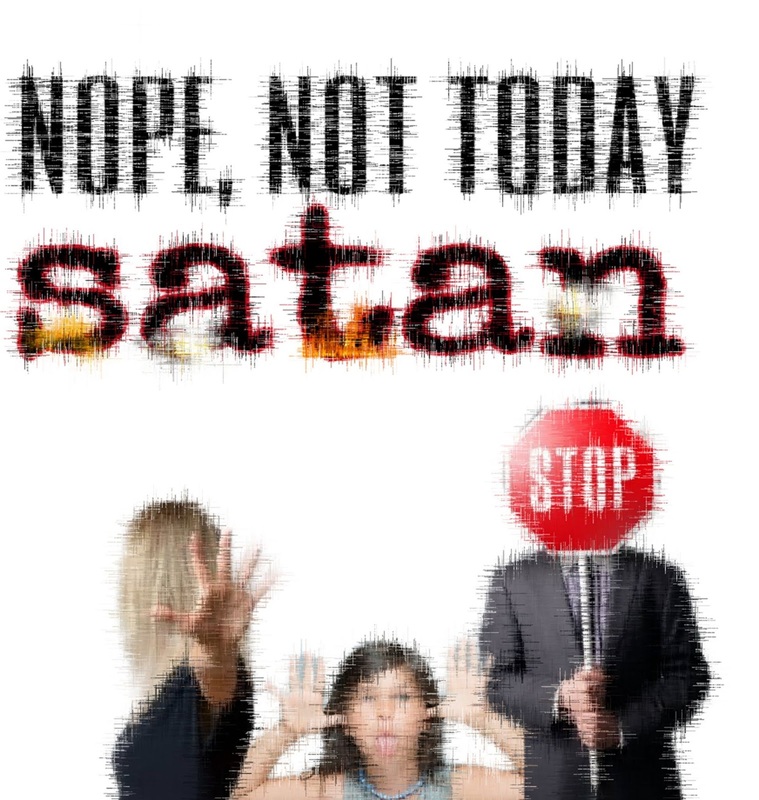 As parents we will do well to truly pray that Satan be kept at the door of our homes. When we say home, what we really mean is that we pray his influence will be kept from creeping into our family, no matter where we are. This goes for Grandparents, Parents, Children and all extended family. Satan will stop at nothing to destroy the sanctity of our families! Let's do our best to remember when things go awry- especially when we think we have it all figured out and under control, that it's him. The destroyer working overtime. 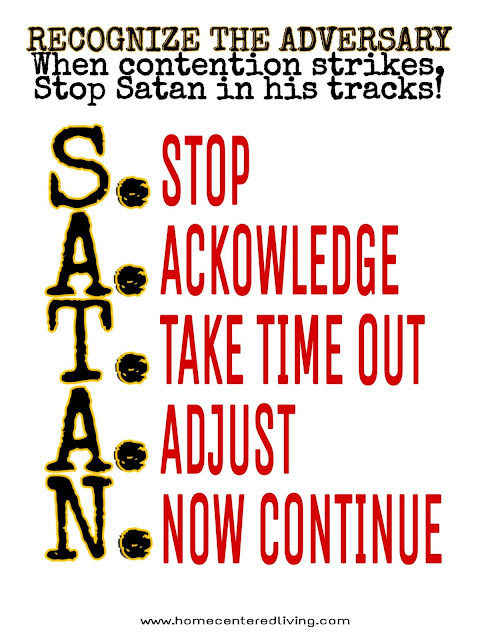 Practice this 5 step process to catch Satan in his tracks and dispell his efforts. This would be a good FHE lesson. Let's let the kids in on this one- they too can help recognize the Adversary at work. 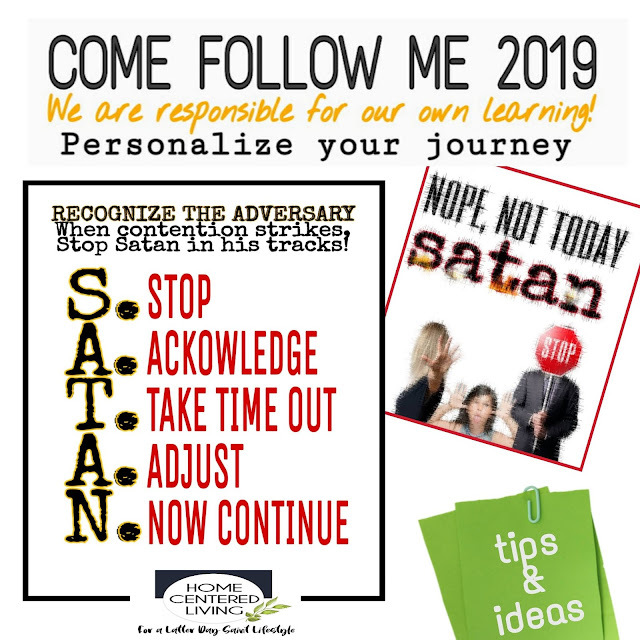 Here is a printable for you to use in your home and for any lesson regarding the adversary. Let's put these small printables on magnet board or in the kids rooms to remind us how we can counteract contention when it starts. To print, just right click on the image below and save to your device, desktop or laptop to print from there.